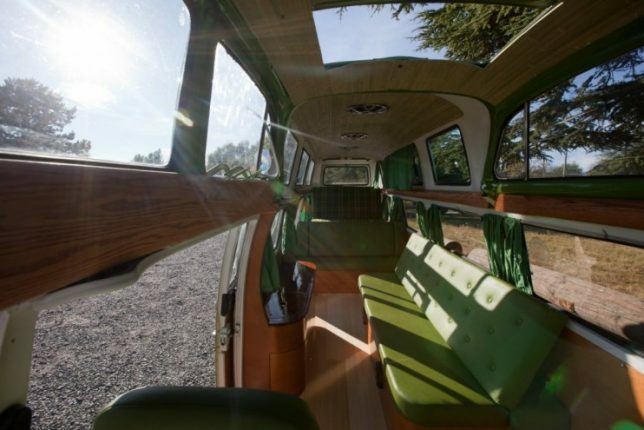 An enduring classic, the VW van might just be one of the most converted and renovated vehicles of all time, transforming into solar campers, bars, food trucks, shops, tanks, snowmobiles and even a Back to the Future-inspired mini movie theater with gull wings and a ‘working’ flux capacitor. 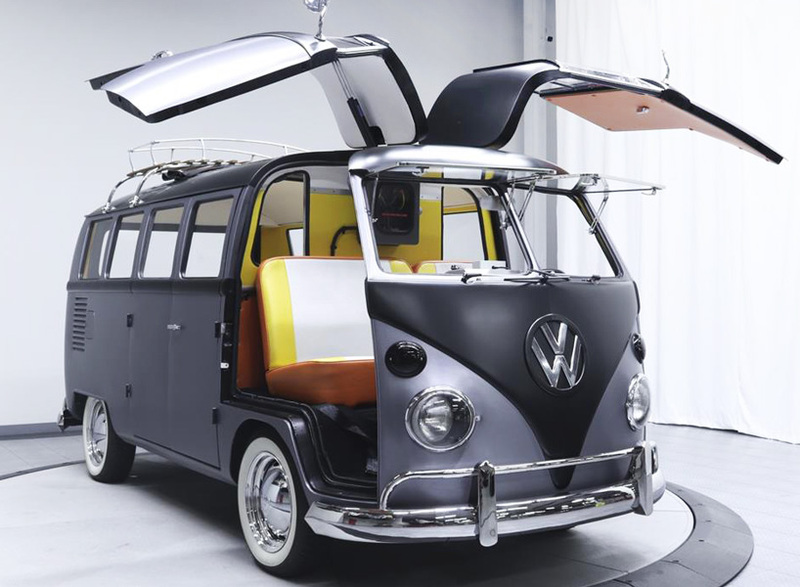 Though most of these re-imaginations have been carried out by fans and enthusiasts, Volkswagen itself has some ideas for carrying the iconic van into the 21st century and beyond. 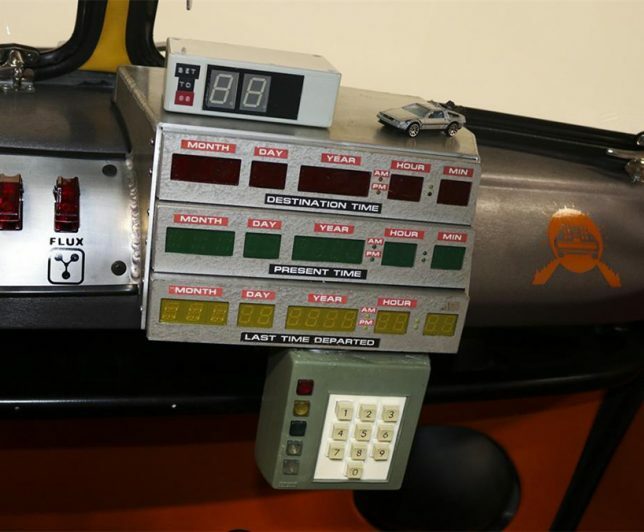 Custom-built by Brian Wallin and currently available for sale in Nashville through VelocityMC, the ‘Back to the Future’-styled 1967 Volkswagen Bus looks like new inside and out after a fun renovation that added gull-wing doors to the front and a mini movie theater to the back. 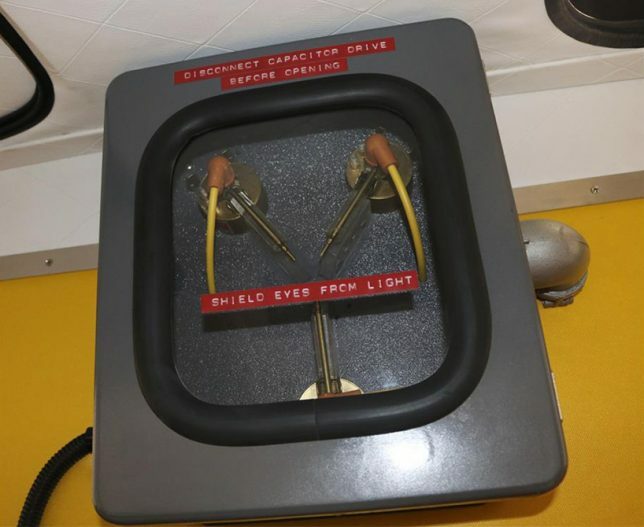 You’ll even find a time machine from the film mounted to the dashboard, and a ‘working’ flux capacitor. Tempted? 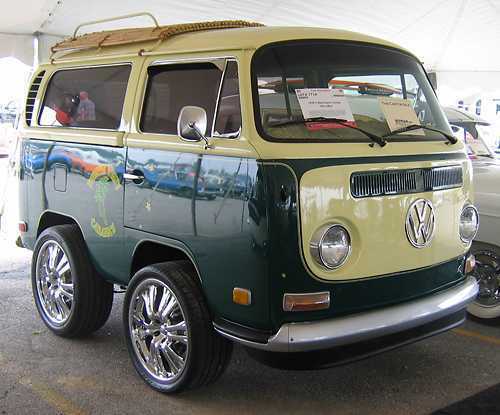 It’s yours for $89,995. 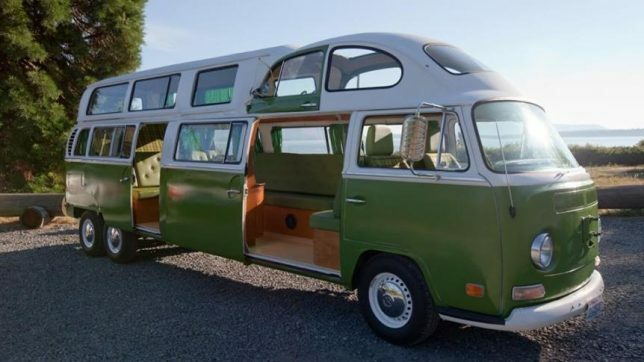 Not only does this 1966 VW Bus Bulli T1 have rubber tracks instead of wheels, it’s a mobile DJ booth, designed to roam around during outdoor parties in snowy environments. That may seem highly specific, but hey, people who live in places that get trapped by literal walls of snow every winter want to party, too. 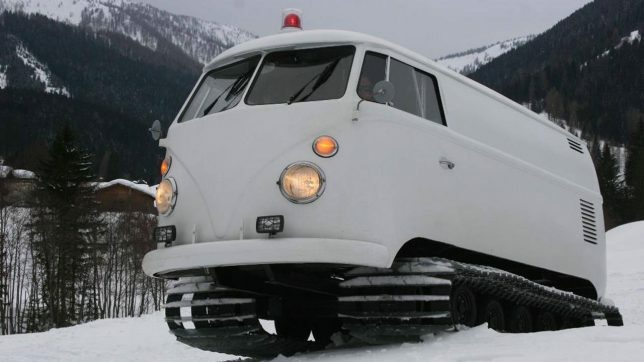 It was created by Austrian promotions company BB Support by combining the VW with a 1960s Bombardier B01 Spurgerät snow machine. 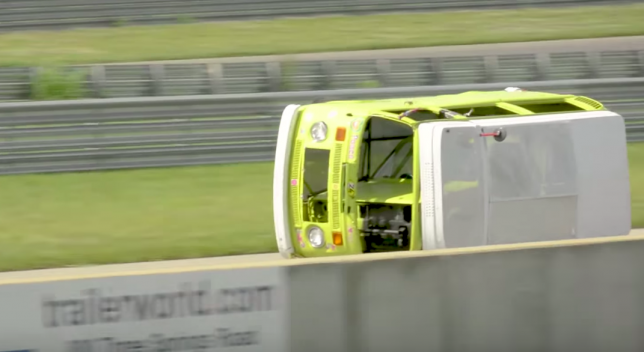 At first glance, it seems like somebody just pushed a VW bus over onto its side. But no. It’s actually drivable like that. 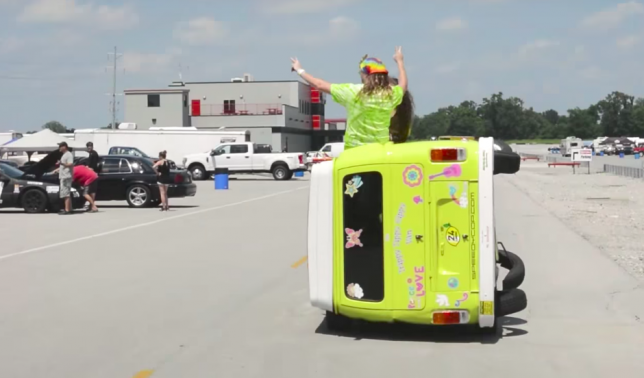 Mechanic Jeff Bloch is known for wacky race car builds, including an upside-down Chevrolet Camaro, so for him, this ‘Trippy Tippy Hippy Van’ is par for the course. 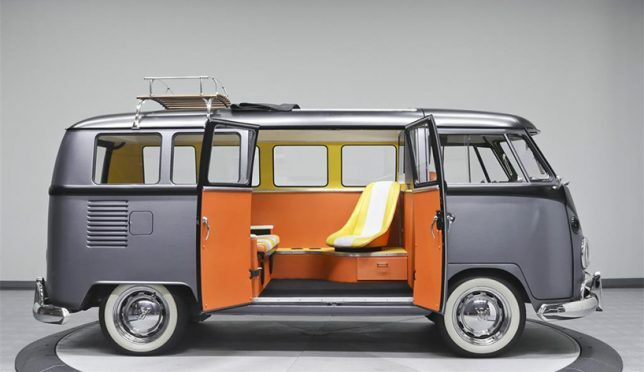 In the long history of VW Minibus transformations, many a Short (VW) Bus has been born (though it’s not entirely clear why, other than ‘because we could.’) But have you ever seen a Volkswagen Bus limousine?